The third year of this section, and it’s difficult for me to imagine that it won’t continue next year. Seeing the true colours of Technicolor on the screen of the Arlecchino is always a rich emotion; it’s like a balsam for our eyes, poisoned by digital versions that often stray from the colours and depth of the originals. Because the dye transfer copies don’t just have transparent, bright and amazing colours, they also have brilliant whites and deep blacks that give the images a richness and an engraved precision that makes us think of three-dimensionality. This section is essential for a variety of reasons. Firstly, it demonstrates the importance of cinema archives, by making it clear that what they conserve can never be reproduced. When reproducing a Technicolor copy, it must be taken for granted that the result will be a pallid imitation. Like swapping Marilyn for Mamie van Doren, or worse, Paris Hilton. In theory it’s true that a festival can be repeated, for example, over the internet; however, if you want to see the colours of a vintage 35mm Technicolor copy, you have to be in the Arlecchino straight after lunch. After last year’s performance, we know that the séance in which Michael Pogorzelski takes us into the Techincolor dye transfer laboratory on Cahuenga Boulevard will be one of the most unrepeatable moment of the festival. 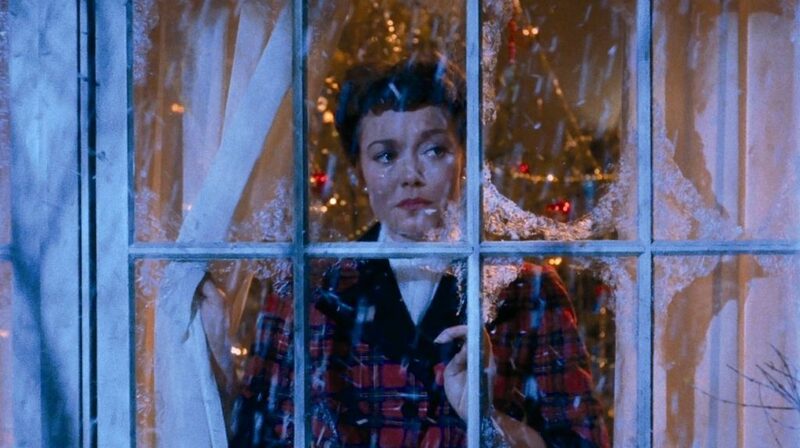 Once again this year, the Academy’s contribution is crucial to the success of this section, as it brings to Bologna three of Douglas Sirk’s masterpieces, in which the very soul of the films is colour. In turn, the Cinémathèque française will allow us to see its copy – not an original from 1939, but a dye transfer from a few years later – of Drums Along the Mohawk, Ford’s first colour film and, as Jacques Lourcelles recalls, “without doubt the most ‘moulded’ work of his entire career: a succession of sublime and familiar scenes”. An even more surprising film when one considers that Ford also made two black and white masterpieces that same year, Stagecoach and Young Mr. Lincoln. Rancho Notorious comes from the collection of Jean-Pierre Verscheure, a long-time friend of Cinema Ritrovato. Not only is it a fantastic film, it also has colours that etch themselves into the memories of even the most forgetful of cinema-lovers. Technicolor was also the realm of the cinematographer. Therefore, I would also like to dedicate this section to one of the great cinematographers, Carlo Di Palma. We have restored Blow-up, a film on which he worked with unique chromatic inventiveness. A digital restoration supervised by one of today’s great Italian cinematographers, Luca Bigazzi. To complete the selection, a 90-minute programme of Kinemacolor films, without doubt the longest to be screened in a cinema theatre since the 1910s! A programme that would not have been possible without digital technology or the careful work undertaken by the experts at L’Immagine Ritrovata laboratory, who approached the work with a philological attention to the system’s original imperfections.